In worship this Sunday we will commission the Living Waters for the World team that will be travelling to Guatemala on our behalf March 17-23. We will offer our prayers for the team at the 8:00 a.m. service and pray over them with the laying on of hands at the 10:15 a.m. service. Between services there will be an opportunity for the whole church to add the work of your hands to the education and health ministry we carry out in Guatemala. Supplies will be available to assemble thirty school kits that we use to train local educators in each community we visit. Those educators then share them with the students they teach. Join us this Sunday as we worship God and send our team off with a blessing. As we prepare for Lent, we find Peter, James and John up on a mountain with Jesus who is transformed before their eyes. The mountain is not an unfamiliar place where God chooses to reveal God's self. Moses and heavenly beings have descended from mountaintops after an encounter with God. We may have had our own metaphorical mountaintop experiences with God or other encounters with God or may not have recognized the ones we have had. How do we know and how did we or did we not respond? This week we will be extending an extra welcome to one of our newest families at Fox Valley Presbyterian Church as we celebrate the baptism of Myla, daughter of Alex and Kayla who just joined the church a couple of weeks ago. I love how the celebration of this sacrament lets the church, the Body of Christ, enact what we believe about God’s love and welcome. Before Myla will even know what it means, we will declare that truth of God’s grace. Before she or her parents even know many of us by name, a whole community will promise to share in the responsibility and privilege of caring for their whole family. This is how it is with God. God loves us first. God gifts us with community. God calls us to care for creation.  Thank you, Fox Valley Presbyterian Church, for being the Body of Christ to one another. As I was preparing information for the worship bulletin this afternoon I typed out the names of the students and staff members of Marjory Stoneman Douglas High School who were killed in the shooting that took place there one year ago today. Pulling their names from an old news article, I read a short biography of these students, teachers, and coaches as I made my way through the list, praying for each of their families and friends as I did. I hope you take some time today to offer your own prayers and that you will be with us in worship as we remember these lives and others that were ended for too soon because of gun violence. Our lesson from the gospel according to Matthew this week brings us three parables about the kingdom of heaven. My prayer as we move toward Sunday is that we will be fertile ground for the seeds of peace God is planting. In the gospel according to Matthew Jesus tells his followers that they, that we are the salt of the earth and the light of the world. Not we could be, not we were, not we will be, but we are. We have everything we need to give glory to God and reflect the light of Christ’s love in the world. Join with us this Sunday to hear more of Jesus’ words from the Sermon on the Mount and delight in the promises of the kindom of heaven. Also, this Sunday at 9:00 a.m. we will hold our Annual Congregational Meeting. I hope to see you there when we will give you a tour of our brand new website as well as launch our new on-line giving platform. With a new year comes new hopes. I'm grateful to be part of this community which has helped to give hope to many through mission efforts and hospitality - to name a few. As we follow Jesus' journey we will encounter God's hope for us revealed in Jesus - the hope of drawing near and trusting God when there are so many competing interests. This Sunday (January 20), we will delve into the wilderness part of Jesus' life and find hope which sustained him and can sustain us. Trust, Accept, Receive, Adopt, Be Instructed, Fulfill, Govern, Abide, Friend, Follow, Reconcile, Further, Serve, Nurture, Faith-filled - these are the active pledges by which our new officers will promise to lead. Pretty amazing, very difficult - but all with God's help! The questions we ask our new and returning Session and Deacon members are elaborations of our baptism liturgy. Maybe we were infants, maybe our parents answered for us, maybe we were adults, but we proclaimed Jesus Christ as our Lord and Savior and we declared we would be his faithful disciples and show his love. These new officers are your conduits to insure our church is showing the love of God in all that we do. Seek them out - use them - give them ideas and encouragement! We hope all of you will be with us for worship, adult education, children and youth classes - joining this congregation in "maintaining constant love for one another" and "glorifying God through Jesus Christ."